For many years, James Cargo Services Ltd. (JCS), based in the U.K., and Flytrans S.A., a forwarder with a number of offices across France, have worked in unison on a range of general and highly specialized cargo shipments. This effective partnership has seen many urgent shipments, but 2013 and 2014 brought about new and exciting challenges. "Flytrans had been handling the customs procedures, on our behalf, for the movement of a large furnace going to an exhibition in France," began Daniel Edwards, director of JCS. 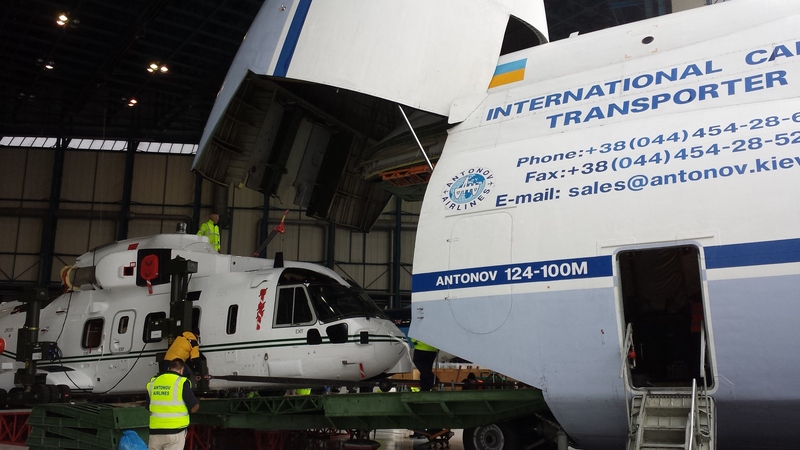 "The week before Christmas 2013 and after our furnace shipment had been completed, we received an urgent email from Flytrans asking if we were able to handle the customs procedures, shipping documentation and oversee the loading of an AgustaWestland AW101 VVIP (very, very important person) helicopter and all accessories into an Antonov AN-124 freighter." JCS has worked closely with Flytrans on different shipments of urgently required AgustaWestland helicopters. However, there was a catch, Edwards continued, "It was for the King of Saudi Arabia and the shipment was scheduled to depart London Stansted International Airport in just a few days, so we were under severe time constraints." Flytrans had already arranged the charter for the helicopter directly with Ruslan International, an outsize cargo air charter specialist that offers the capacity of a fleet of 17 AN-124s. They had all the necessary permits required for over-flight approvals, but were in need of a local U.K. office to act as its on-site representative. As Flytrans' local representative, JCS was to ensure all customs procedures were completed correctly and on time, that the Dangerous Goods (DG) paperwork was in order and provide on-site support for the loading of the helicopter. The shipment was successfully cleared through customs by JCS, and was on hand to deal with any potential problems. "The helicopter departed, on time. Flytrans was present in Saudi Arabia to oversee the unloading and both the shipper and the consignee were happy," Edwards noted. The cavernous capacity of an AN-124 freighter. Then, in November of 2014, JCS was once again contacted by Flytrans to assist with a similarly challenging shipment. Because of its experience and expertise in this area, Flytrans was asked to arrange the charter of yet another AgustaWestland helicopter. Once more, time was short, and once again the shipment was urgently required. As before, the French forwarder contacted JCS to act as its U.K. representative to facilitate customs formalities and supervise loading. Once the procedures had been finalized, JCS sent two of its executives to Stansted. They were met by their counterparts from Flytrans, who came to witness the proceedings, while AgustaWestland staff were also present and were introduced to the Flytrans team. Having a complete understanding of the specific loading procedures, JCS was able to offer "even more hands-on support for the loading, and demonstrate to Flytrans and their customers the professionalism and expertise with which we operate in acting as their local representative," Edwards commented. 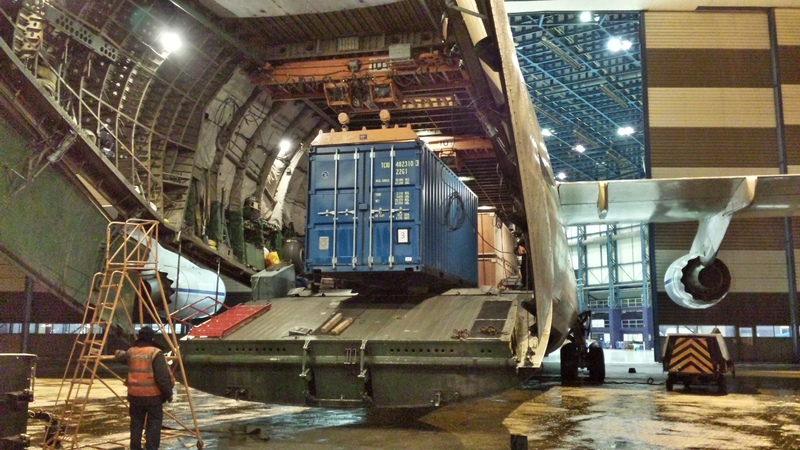 In addition to the export of the helicopter and parts, this shipment required JCS to be present and oversee the unloading of the various Aircraft Transport Kits that had been returned to the U.K. on the same AN-124. "Once again, we were present to assist and ensure there were no problems for either Flytrans or the customer," Edwards concluded.